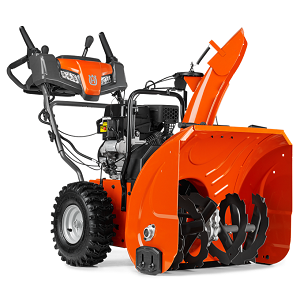 Husqvarna ST 227P has been developed for homeowners who need a high-performing snow blower to clear snow from large garage driveways and paths. It works regardless of surface type thanks to the adjustable skid shoes. 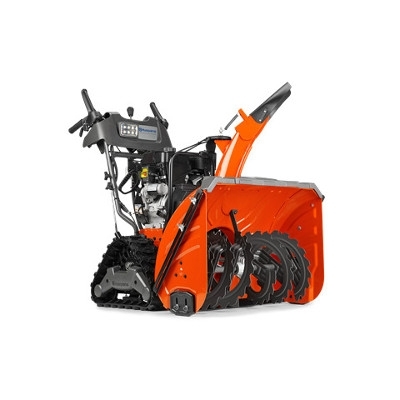 The continuous track on this hydro-driven, heavy-duty, dual-stage Husqvarna 30in. 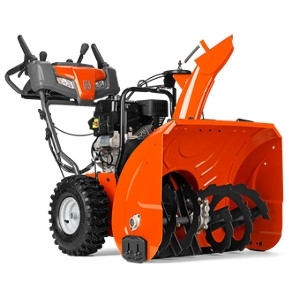 Electric Start Track-Drive Snow Thrower is less likely than wheels or tires to get stuck in deep snow. The efficient auger and high-speed, cast iron, 4-vain impeller system with drift cutter clears a 30in.W x 23in.H path easily and quickly while an LED headlight leads the way. Single-hand interlock controls with heated grips and power steering allow operator to steer and direct discharge simultaneously. Electric start motor with quiet muffler won't wake the neighborhood. 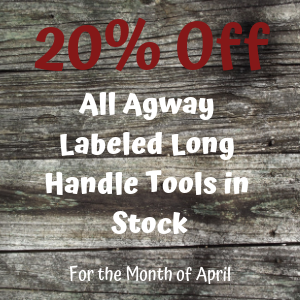 Drift cutter and nonmarking skidshoes are standard.